“Joe Perry and the rest of the Hollywood Vampires walk on stage during the last Hollywood Vampires tour.” 🎸🎸 – Wrote Kyler Clark (CerealKyler), on Instagram. Ps. Is Kyler cleaning his PC? Third photo of Johnny today! on the first show of the “Hollywood Vampires 2018 Tour”, which happened at Turning Stone Resort Casino in Verona, New York. Johnny, who originally surprised us with his vocal ability in “Sweeney Todd”, kept singing on the next 28 shows, on the “Johnny Depp live in Tokyo” special event in Japan, and at the “Alice Cooper’s Christmas Pudding 2018″, last December 8.
on the Hansa Studios, in Berlin, same studio where Bowie recorded his masterpiece. Johnny recorded his cover when the “Hollywood Vampires 2018 Tour” stopped in Germany, and is set to be released on the upcoming “Hollywood Vampires” second album, along new songs with Johnny singing. last June 22, at “Hellfest Open Air Festival 2018″ in Clisson, France. We are proud, and I bet David Bowie would be proud too..
TBT #2! Johnny and Leni Ito on the backstage of Hollywood vampires Tour in Copenhagen, Denmark, last June 8. “Don’t believe everything you read in the press, it’s all I gotta say… It’s all BULLSH*T” ~ Tommy Henriksen. 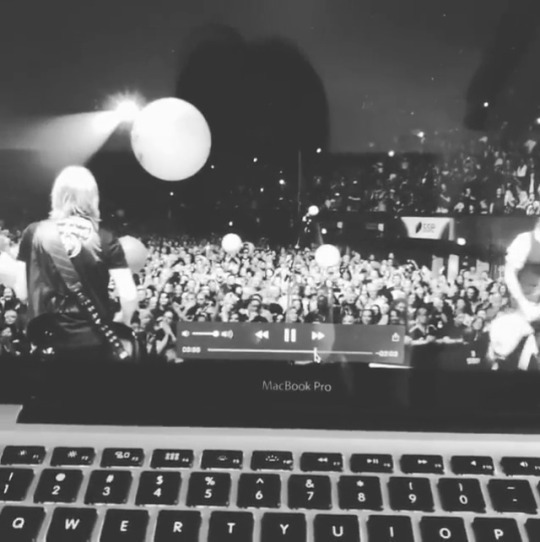 Tommy Henriksen is teasing us with a lot of footages made on the last Hollywood Vampires Tour. He is finishing something special and says to have “a really good stuff coming”, and that we “gonna trip when you see these stuffs”. Ps. I really would like a documentary… Their photographer, Cereal Kyler, kept sharing photos with the hashtag “Documentary” or “DocumentaryPhotography” on his instagram while on tour, and in some videos we also could see he filming them too… Is they planning something? Finger crossed! Johnny, tonight, on the penultimate show of Hollywood Vampires 2018 Tour in Lucca, Italy. and support from the fans. May 17, in USA, to the Show N°10, in June 7, in Sweden. at Montreux Jazz Festival, yesterday (July 5), in Switzerland. Johnny tonight at Montreux Jazz Festival in Switzerland.